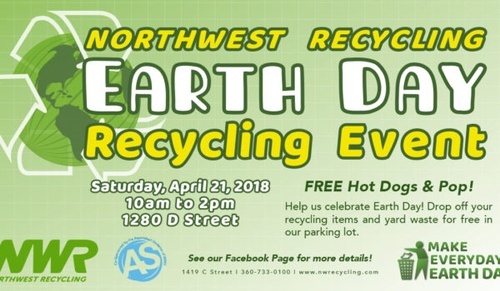 Your friends at Northwest Recycling invite you to help us celebrate Earth Day. Drop off your recycling items and yard waste for free in our parking lot. Learn about what we do and learn more about what you can do to minimize the impact of waste on our community and our planet. We will have free food and drinks for all that join. While you're here, grab a free hot dog and pop!